The Akai Professional EWI4000S is a giant leap in the evolution of wind instruments. The heart of the EWI4000S is its built-in sound module that lets musicians plug a wireless MIDI or audio set up into the base of the EWI, and move freely around the stage without being tethered by wires. At Akai Professional, we understand that artists want to concentrate on creating and performing music, not manipulating buttons, so we’ve made the breath, vibrato, glide time, and bend width controls easily accessible and totally adjustable. In addition, the included software lets both Windows and Mac users edit, customize, store and recall sounds with their computer. 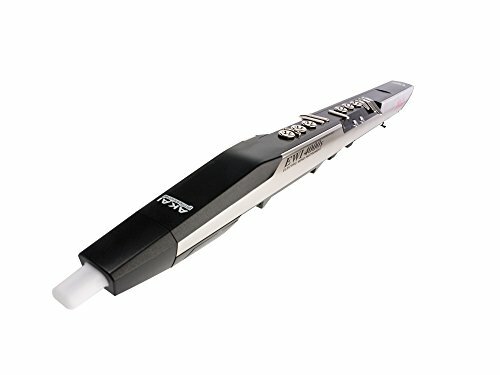 The EWI4000S delivers incredible versatility, ultimate mobility and remarkable creative expression that brings a musical revolution to your fingertips. If you have any questions about this product by Akai Professional, contact us by completing and submitting the form below. If you are looking for a specif part number, please include it with your message.